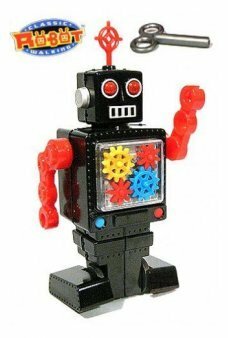 Wind up Skidum with his 3 rubber footed wheels and he hops and spins erratically clockwise and counterclockwise. A unique modern tin toy creation from Chico Bicalho and Kikkerland. Does the Mystic 8 Ball hold the wisdom of the universe? The 8 Ball says, “You Can Count On It!” Shak..
It’s the Matches prank from Adams! 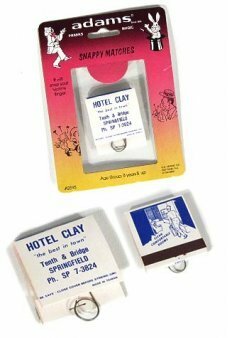 Our classic Hotel Clay Match Book has a spring loaded surprise to..
Our cute Fred the Frog really swims! This bright green froggy kicks his long legs and moves his arms..
It’s Animal from the Muppets on a PEZ Dispenser! It’s a classic Muppet Show character toy..
A classic toy cash box. 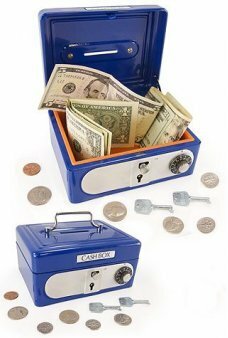 Our shiny blue solid metal Cash Box features a coin slot, handle and both a..
An Exclusive New Robot from TinToyArcade.com! 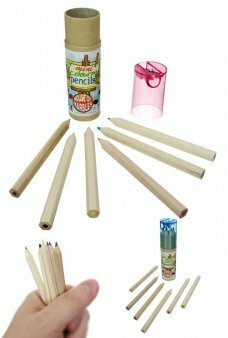 You can now see how the Famous Gears Robot works with ..
Now you can draw and color wherever you go with our perfectly portable mini color pencils set. Each ..